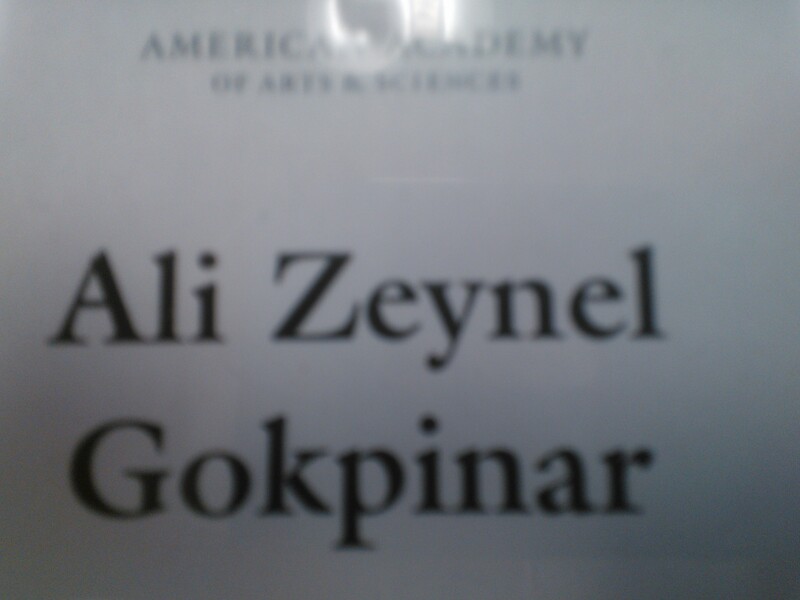 On Wednesday evening, I was invited to an event at the American Academy of Arts and Sciences. The fascinating atmosphere is breathtaking. I had the honor to meet scholars Roger Owen, Philip Khoury, Tareq Masoud and many other academy members. This is important to me as I could the passion for studying arts and sciences. Even those emeritus professors were truly happy to be there to learn new perspectives, discuss the direction the Middle East taking and exchange perspectives. The historical AMACAD building is located at Irving Street, Cambridge, MA. The most impressive thing is that you could see the handwriting of Mendelsson, Bill Clinton, Einstein, Charles Darwin and Wilson and many other student of arts and sciences. 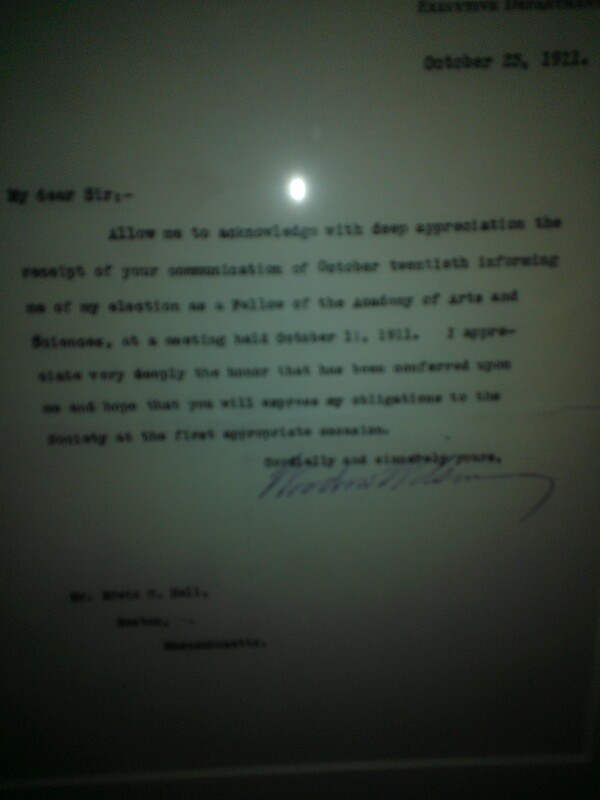 Below you can find Darwin’s and Wilson’s hand writings upon their acceptance to the Academy.